This week sees the release of horror film Wish Upon in UK cinemas as does survival horror 47 Meters starring Mandy Moore. Meanwhile for those in the USA you can see Charlize Theron star in the thriller Atomic Blonde this Friday. 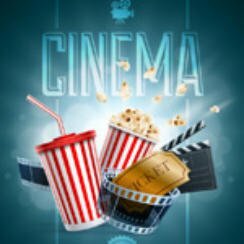 But there are of course several other film releases; these are the cinema releases for July 28 2017 for the United Kingdom, United States, Australia and New Zealand. Plenty on new releases this week but nothing that really stands out for me. Wish Upon is a horror film that appears to offer little if anything new or interesting however seems to be my best bet in the UK. The US sees another animated movie in The Emoji Movie which judging by the amount of views of the trailers on YouTube will probably do quite well. Now on to thriller Atomic Blonde starring Charlize Theron and I’ll be honest I really hope this turns out better than the trailer would suggest. If it is done with a comedic tone of the trailer then I’d say it’s more than likely going to be a dud.